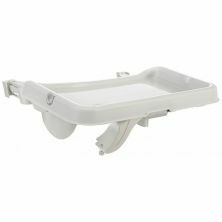 We also offer a line of highchair and booster seat accessories. We carry pads and inserts intended to make your baby’s mealtime as enjoyable and comfortable as possible. These pads are designed to repel the spills and stains that your messy little eaters can create and make clean up after mealtimes less of a chore. The pads and inserts are also designed to fit most models of the highchairs and booster seats that we stock, are safe for the washing machine and come in a range of attractive patterns and bright colors to complement any décor. 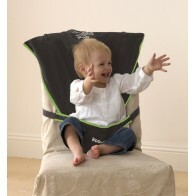 Some also come with a safety restraining strap to keep baby gently but firmly in their seat. We also offer travel seats that adapt to any situation you encounter while on the road. They are a comforting sight and feeling for a baby who is eating in unfamiliar surroundings. 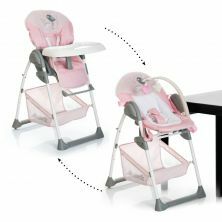 The Hauck Sit n Relax 2-in1 Highchair/Bouncer-Birdie is a strong, lightweight travel highchair with a removable tray and reclining feature that is collapsible for easy storage and transport. 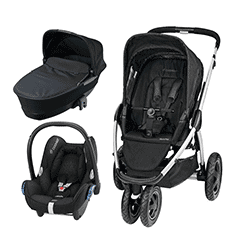 The Koo-di Seat Me Safe Travel Seat is an ingeniously simple, sog, cloth travel seat and restraint system that adapts to any available seating. Keep one in your car to make restaurant dining situations a lot more enjoyable for you and your child.